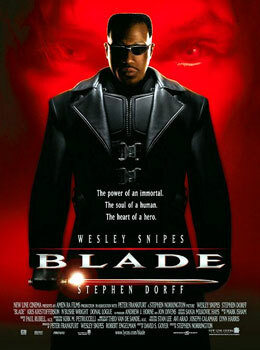 Meaning, of course, Wesley Snipes, whose film career has been on hold lately due to being in federal prison. Snipes was convicted in 2008 of not filing federal tax returns, and received a three-year sentence. He is still under house arrest until July, but was released on April 2 from the minimum-security facility in which he has been residing. Prosecutors argued that Snipes had earned something like $38 million between 1999 and 2006 and that not only did he fail to file tax returns for some of those years, he filed a couple of bogus returns in which he claimed $12 million in refunds. The argument he made is sufficiently common that it is just called the "861 argument," after the IRS code section and regs on which it's based. As I understand this argument, on which I freely admit I have not wasted much time, U.S. citizens supposedly can be taxed only on foreign-based activities and not on wages and other income earned within the United States. If that actually were the law, you'd think the feds would have closed that particular loophole by now since it would obviously cut revenue rather dramatically. But not surprisingly, this argument has been rejected many times in cases going back almost to the time of White Men Can't Jump and Passenger 57, and certainly well before Blade. One of its main proponents, Larken Rose, apparently believed in the argument so strongly he asked the government to prosecute him so he could make the argument to a jury. It did, and he did, and the jury then convicted him on five counts of tax evasion. I actually like Wesley Snipes a lot as an actor (and don't like paying taxes any more than anybody else does), but he really should have known better. Being half-vampire might make you immune to vampires, but not to the IRS.